To Protect & Defend Wolves of the Rocky Mountains through advocating and education. Gathering wolf advocates around the world to consolidate our voices into a force that will influence the protection and acceptance of wolves in the Rocky Mountain Region. Wolves of the Rockies (WotR) is a 501c3 not- for-profit grassroots organization working to ensure that a viable, healthy population of gray wolves occupy their native historic lands. Educating people with facts about wolfs, and wolf behavior to counter the negative image created by commercial interest groups, fictional entertainment and extremism. Advocating through speaking at government/public forums to ensure accurate data and sound science are being utilized in decision making. Working in cooperation with government agencies and like-minded organizations promoting acceptance of wolves, the benefit of wolves, and the impact of wolves in the ecosystem. Working to promote non-lethal measures to help diminish human conflict with wolves. "Because we are their ONLY voice"
“Only if we understand, will we care. Only if we care, will we help. Only if we help, shall all be saved. The least I can do is speak out for those that cannot speak for themselves. The greatest danger to our future is Apathy. 2014/2015/2016 advocated for lowered quotas along the northern boundary of YNP - Successful! 2013 implementation of WMU 313 with quotas along YNP boundary. Successful! 2012 proposal to close hunting along northern boundary of YNP after death of 7 collared wolves. January 2, 2013 Successful! 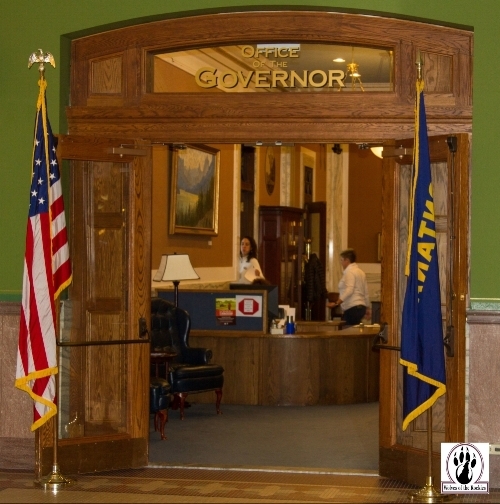 2017/2015/2013 Fought Legislation on behalf of wolves/apex predators and public lands. 2014 Became part of the Wolf Stamp Round Table. 2013 - Sat on MTFWP Wolf Advisory Council.